This week we will be taking a closer look into the newly announced Pukymoto. Whilst a fairly simple product the Pukymoto has some key safety features that make it worthy of its of 'featured product' article. The Pukymoto is designed to fit children ages 1.5 and up. 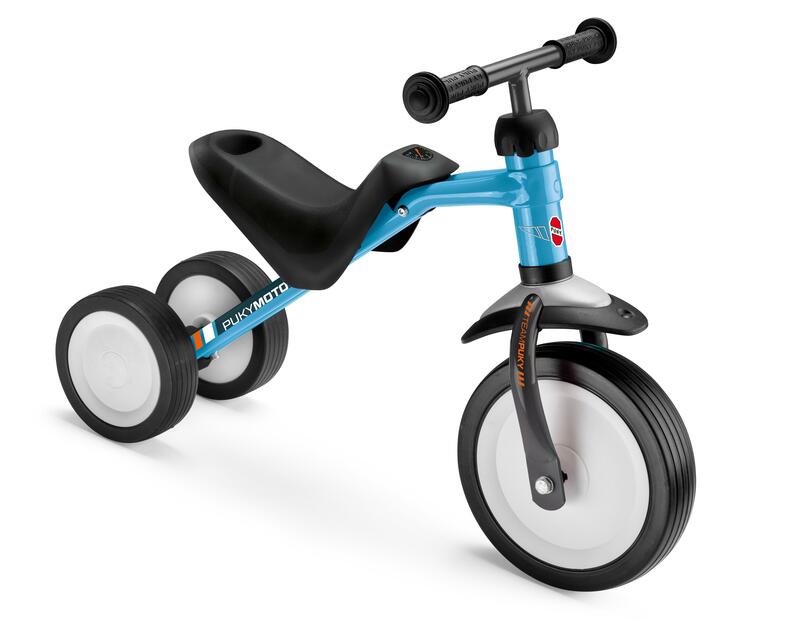 Due to its ergonomic design the bike was created to bridge the gap between the four wheel ride-on and a two wheel balance bike making it the perfect product to get your kid rolling. The features of this bike are what make it so special. The seat design is adjustable to allow the it to be raised and lowered to accommodate the childs needs. Meaning that the bike can stay with the kid longer than something with a fixed hight. As well as the safety handlebar grips the bars have a steering lock meaning they cannot overturn the front wheel to avoid slips and spills. On top of that the silent, non slips wheels and impact resistant powder coating make sure the product will last and perform for years to come. The Pukymoto is available at £59.99 from here.